Transportation affects quality of life for everyone in the region, so it’s essential for the public to be involved in transportation planning. 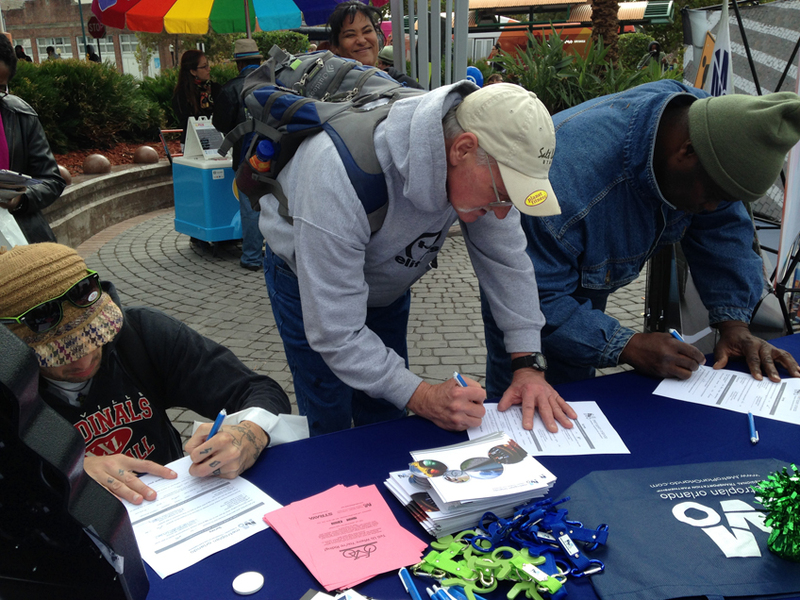 MetroPlan Orlando’s active public involvement program ensures that the community has opportunities to provide feedback as transportation plans are being developed. The Public Involvement Plan, adopted on February 10, 2016, outlines a community outreach process that is continuous, cooperative, and coordinated. The plan includes objectives, strategies and measurement tools for the program and ensures that MetroPlan Orlando meets all federal and state requirements for public involvement. To learn more about our community outreach efforts and how you can get involved in the transportation planning process, visit our community outreach section. To learn more about how we ensure equality in the planning process, view our nondiscrimination and language plans. Continuous, coordinated, and comprehensive public involvement is a critical part of the planning process. Legal right-of-access to governmental proceedings at both the state and local levels.